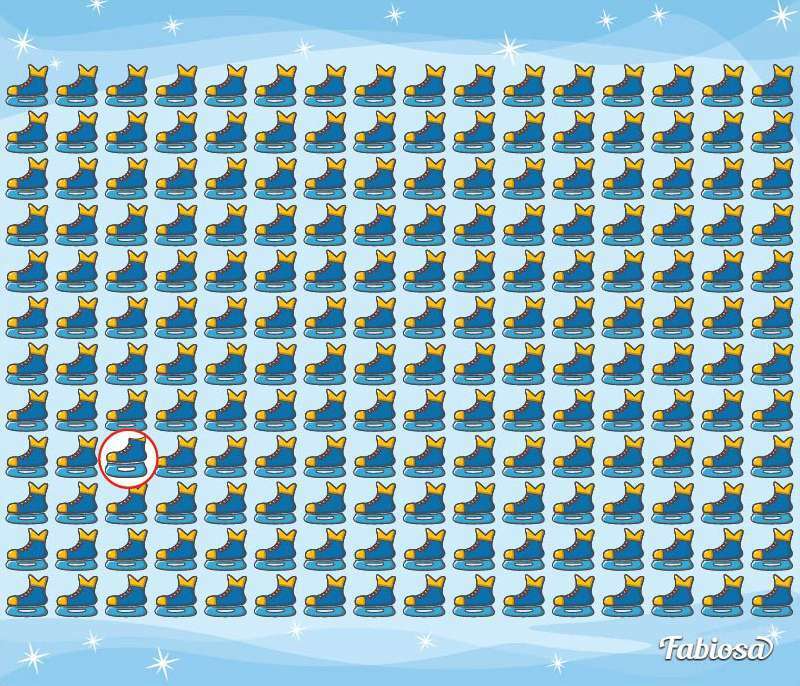 People enjoy brain teasers, as they are able to warm up the brain and body. Also, they might help to determine how strong the sense of sight is. Experts agree that puzzles and brainteasers is a good way to sharpen eyes and a brain. This particular one requires to be very focused. 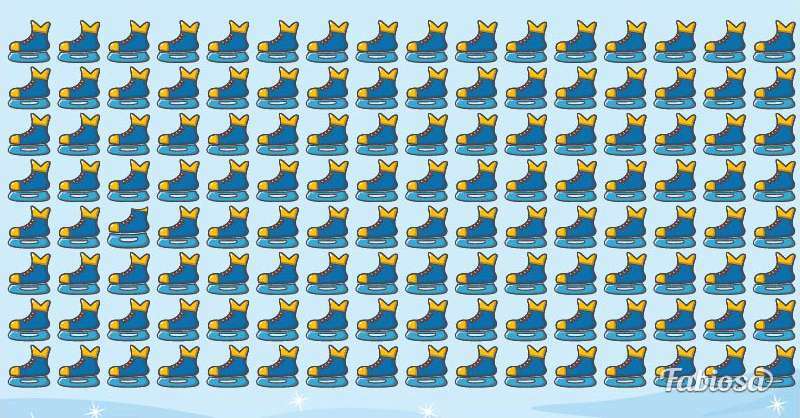 We have a bunch of skates that all look the same at first glance. But there is a super special one that stands out. There is a choice between glancing at the whole picture in hopes that the different one will simply jump, or looking through the skates one by one until finding the one that stands out. Quite difficult? 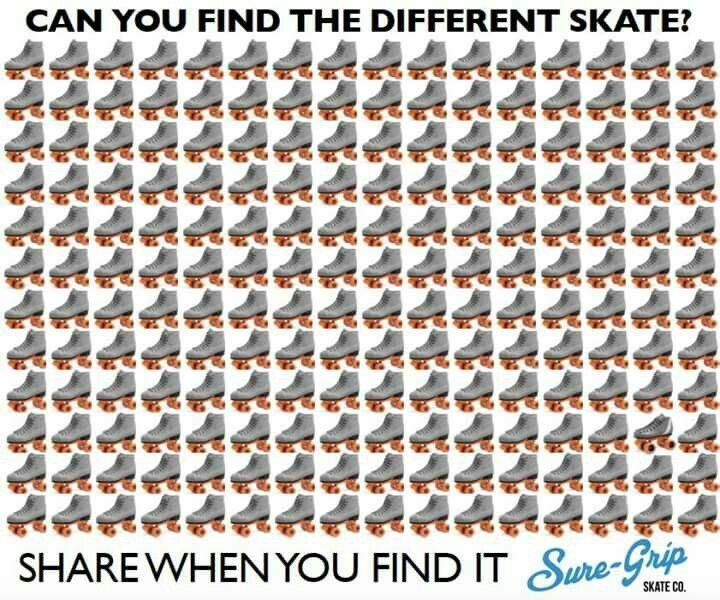 Don't hurry, just focus on searching one special skate! Please, see the answer below. Easily coped with the task? Congratulations! Share this riddle with your friends and see how they will cope with it. In addition, skates are great for adults and children alike. You will get much fun while skating. Just look at these wonderful girls and their dance on skates!